We all do it, we take our jewelry off in random places around the house in an attempt to protect it, but in reality we end up misplacing our favorite pieces! Ring holders are a necessity in my house. In fact, I realized I needed more than just the one I had (I need one at every sink in my house), so I set out to make my own - with the help of Darby Smart, of course. 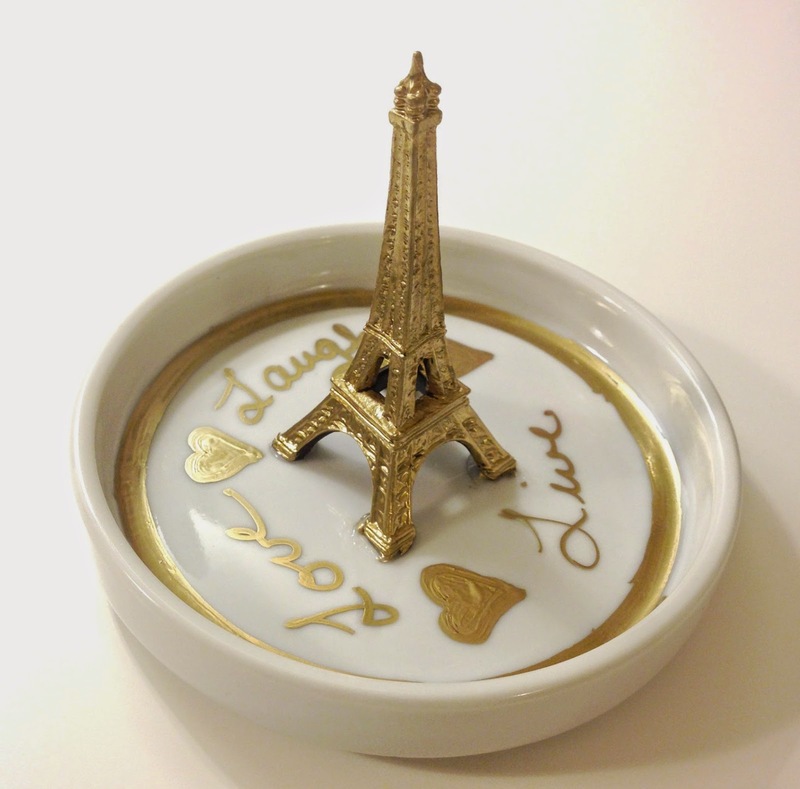 Simply take your paint pen and paint your figurine all one color to give it a classic look. Then paint your dish. You can do geometric shapes, sayings, your wedding anniversary or anything you can think of. 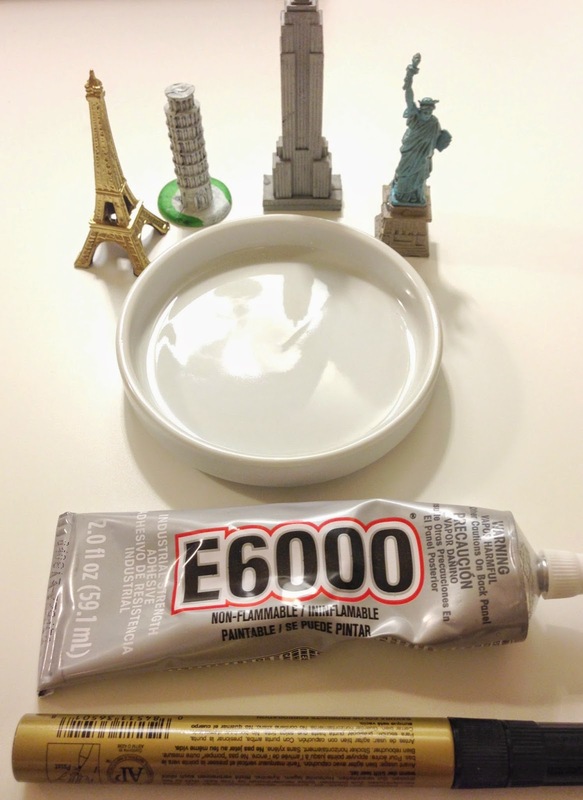 All that's left is to simply glue your figurine to the dish and wait for it to dry! Voila! In other news, notice anything different?! I have spent the last few nights working on my blog template, so hopefully you can forgive me for being a little MIA on the posts this week. Let me know your thoughts on the redesign! So cute! 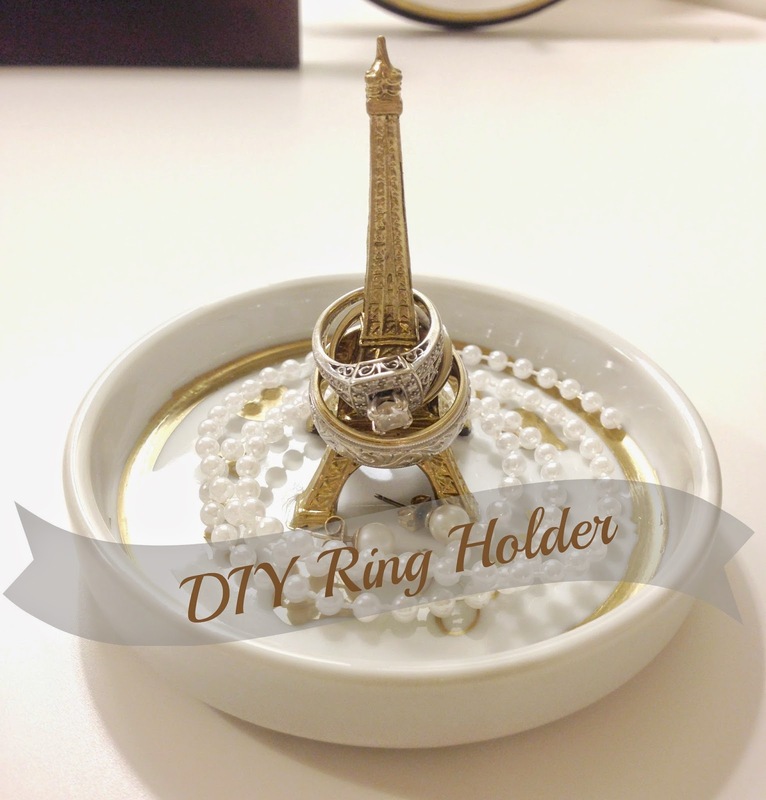 I have a little Eiffel tower that I keep my rings on but this is personalized and adorable! I love this DIY project! Its super adorable and definitely something I could use! I'd love a Pisa and NYC inspired one! Super cute!